For the next eight days I will be in the great city of Toronto, Canada for the IGLTA convention. Keep checking here for the latest information regarding my excursions around the city - a great May week in Canada! 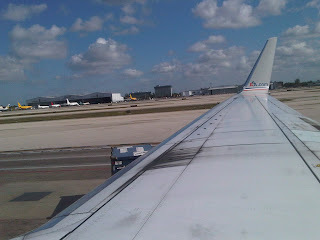 Here is a shot out of the window leaving Miami on American Airlines!